Ten men Belgium were too good for South Korea. Without ever really impressing, Marc Wilmots’ side have topped the group with a 100 per cent record. This win takes them through to a second round tie against the United States. It’s all over in Curitiba. Algeria have qualified for the knockout stages for the first time after a 1-1 draw with Russia. And for the first time, we have two African teams in the knockout stages. Ten men Belgium are ahead. Substitute Divock Origi’s shot is parried by the Kim, South Korean goalkeeper, and the ball falls invitingly into the path of Jan Vertonghen who buries the rebound. Islam Slimani brings Algeria level with a header from a free-kick. As things stand, Algeria are heading into the knockout stages. A deserved equaliser for Algeria but it was poor defending from Russia. Russia are on course for the second round after taking an early lead against Algeria in Curitiba. Alexander Kokorin’s bullet header is the difference between the two sides at the break. All square in Sao Paulo but Belgium are down to 10 men for the second half after Steven Defour was shown a red card just before the break. Belgium have looked the better team, but Defour’s dismissal will give South Korea some hope of pulling off a shock win. Belgium are down to ten men after Steven Defour was shown the red card for a two-footed challenge on Kim Shinwook. It’s a marginal decision but the referee was probably right to send the Porto man off. Slimani has gone close for Algeria. His header from a corner was brilliantly tipped over by Russia keeper Akinfeev. Belgium should be ahead. Kevin Mirallas’s shot is deflected into the path of Dries Mertens, but he blazes over from 10 yards out with just the goalkeeper to beat. Alexander Kokorin puts Russia ahead after just six minuted with a thunderbolt header. South Korea make two changes, with keeper keeper Kim Seung-gyu and forward Kim Shin-wook coming into the side. Belgium have already qualified and Marc Wilmots has made seven changes to the side that beat Russia. Adnan Junuzaj makes his first international start. South Korea: S G Kim, S Y Yun, Y G Kim, H M Son, Y Lee, J C Koo, K Y Han, S Y Ki, C Y Lee, S W Kim, J H Hong. Belgium: Courtois, Vertonghen, Fellaini, Mirallas, Mertens, Van Buyten, Defour, Lombaerts, Dembele, Januzaj, Vanden Borre. Striker Alexander Kerzhakov start for the first time at this World Cup in a match they must win to reach the knockout stage. A deserved, but ultimately meaningless win for Portugal. An own goal from John Boye put Paolo Bentos’ side ahead before Asamoah Gyan equalised with his 6th World Cup goal – beating Roger Milla’s record for an African player. Cristiano Ronaldo, who missed several good opportunities during the match, did find the back of the net late on, but it was too little too late for Portugal. 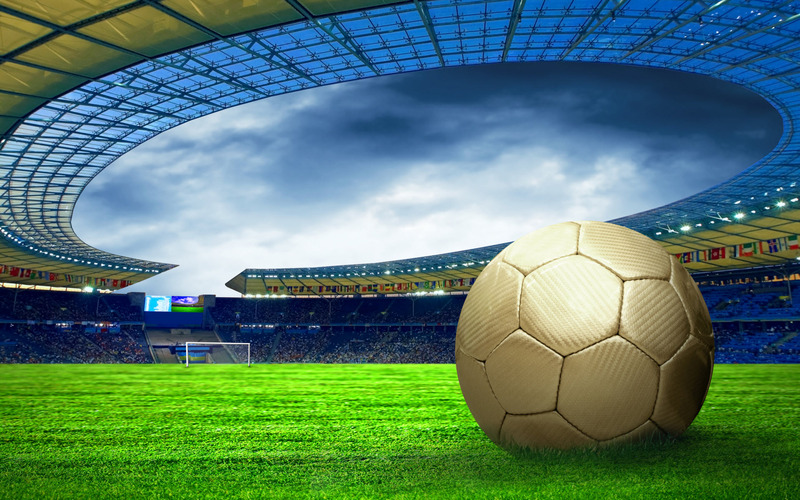 They finish level on points with the United States, but went out on goal difference – their fate sealed by the opening day 4-0 defeat to Germany. As for Ghana, they will be ruing their defeat to the United States, a match they dominated but somehow contrived to lose. It’s all over in rainswept Recife. Germany have beaten USA 1-0 but both teams have still qualified for the knockout stage following Portugal’s narrow win over Ghana. Thomas Muller scored his fourth goal of the tournament, a brilliantly-taken first-time shot that was curled past USA keeper Tim Howard. USA worked hard to contain Germany but did not have a single shot on target during the entire game. Cristiano Ronaldo almost adds a second but goalkeeper Dauda redeems himself with a smart reflex save. Cristiano Ronaldo scores his first goal at Brazil 2014, hammering home the ball after a terrible piece of handling by Fatau Dauda. Another twist in Group G as Ghana are level thanks another goal from Asamoah Gyan. It comes from a fantastic cross played with the outside of his left boot by Kwadwo Asamoah, leaving the unmarked Gyan to head home. Germany take a deserved lead with a beautifully taken shot from Thomas Muller. Tim Howard pushed away a header from a German corner, but the ball fell to Muller on the edge of the area. He shot precisely past Howard for his fourth goal of the tournament. It’s been fast and furious in the rain in Recife. Germany have had the bulk of the possession and chances but have been frustrated by USA. Portugal’s 1-0 over Ghana lead makes the Americans more likely to settle for the draw, so things could quieten down in the second half. Portugal still lead through that John Boye own goal. In fact, the defender almost repeated the trick on the stroke of half time, slicing another clearance inches over the bar. Portugal are good value for their half-time lead, but while the score remains level in Recife, the result in this game is academic. Miguel Veloso swings in a dangerous looking cross in from the left, John Boye takes a wild swing at it and slices the ball into his own net. The USA have weathered the early storm – the weather and from Germany’s attacks. They’re playing with a little more confidence but Germany still look threatening. Cristiano Ronaldo sends over an early cross-shot from wide out on the right, that catches Ghana keeper Fatawu Dauda off his line and hits the bar! Fantastic effort. Portugal make four changes from the side which drew 2-2 with the United States as Pepe comes back in from a ban. Ghana are without Sulley Muntari and Kevin-Prince Boateng after the two men were sent home. United States bring in Omar Gonzalez and Brad Davis replacing Geoff Cameron and Alejandro Bedoya. Germany give first starts of the tournament to experienced duo Bastian Schweinsteiger and Lukas Podolski. Sami Khedira and Mario Gotze are the ones to make way. “The Celeste has been hit hard in Brazil, the team’s elimination of England provoked the English media into taking revenge with pressure on FIFA [over Suarez]. FIFA has handed down its punishment to Luis Suarez after the Uruguayan defender bit Italy defender Giorgio Chiellini during Tuesday’s World Cup encounter. The striker been suspended from all football-related activity for four months and banned from international football for 9 matches. This will be the second year in a row that Suarez will miss the start of a season due to a biting ban. It’s probably just a coincidence. 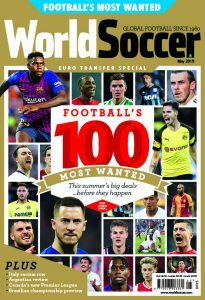 World Soccer’s Brian Glanville believes there is little point banning Suarez in the hope that he might become rehabilitated. Unless he receives psychiatric treatment, argues Glanville, he will continue to re-offend. Incidentally, FIFA has confirmed that the punishment handed down to Suarez will not prevent him from being transferred during his 4-month ban. Good news for Barcelona, who the striker has reportedly agreed to join – should they still want him, of course – and even better news for Liverpool, who must surely want to sever their association with Suarez. A statement from the Anfield club is expected in the next few minutes. While the football community awaits FIFA’s judgment on Luis Suarez’s latest indiscretion, the world and his dog have been delivering their verdict on the Uruguayan’s behaviour. One person we have yet to hear from is Bruce Springsteen. Until now. See what the Boss has to say. 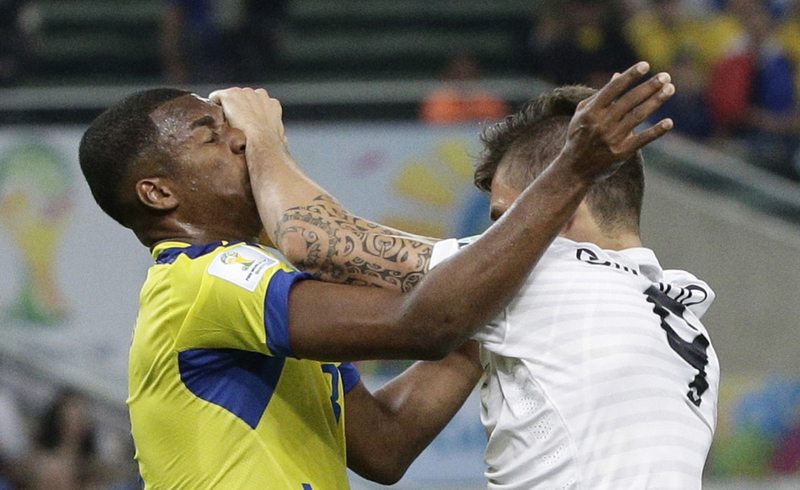 France’s Olivier Giroud, right, clashes with Ecuador’s Frickson Erazo, left, during the match between Ecuador and France. France’s meeting with Ecuador on Wednesday was a feisty encounter. Antonio Valencia was sent off for a studs-up tackle on Lucas Digne, but that paled into insignificance compared to the elbow landed on Oswaldo Minda by France’s Mamadou Sakho. Olivier Giroud was no angel either, lashing out with his elbow and as you can see (above) grappling with Ecuador’s Frickson Erazo. This is one of several striking images in today’s Brazil 2014 gallery. Uruguay captain Diego Lugano believes there is a witch hunt in Britain against Luis Suarez. There is one: your team-mate bit an opponent. Again! It’s been a fabulous two weeks so far and although it’s too early to say whether this is the greatest World Cup of all time, we’re declaring it the greatest group stage ever. Today sees the final round of group matches with several issues still to be resolved. In Group G, for instance, there’s still everything to play for with all four countries in with a mathematical chance of qualifying for the knockout stages. Conversely, each of the four teams could still be eliminated. Germany and USA face each other in Recife on Thursday knowing that a draw would see both into the last 16. Coincidentally, that match also reunites Jurgen Klinsmann with is former assistant, Joachim Low. The pair were in charge of Germany at the 2006 World Cup. It promises to be emotional and, for the avoidance of any conspiracy theories, a positive outcome in that match would be welcome. Ghana and Portugal will hope for a Germany win, as it would mean that a win in Brasilia on Thursday would give either a chance of overhauling USA, though Portugal’s poor goal difference means their chances are slim. It’s a similar situation in Group H, where Belgium have qualified, but each of the other three countries can join them in the knockout stages. Algeria, in second, know that a point would likely see them qualify as runners-up but can still go through as winners if they beat Russia and Belgium lose to South Korea. Russia know that only a win against Algeria would see them advance, while South Korea need a win against the group leaders and results elsewhere to go their way.